Pros and cons of a 2004 Volvo. Love the turbo power of car. S40 is a smaller body type. Next car I will purchase a roomier interior with comfortable seating for road trips. 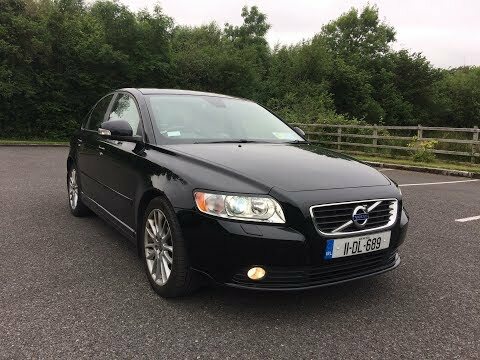 The safety reputation was a key point that made my decision on a Volvo. Had transmission issue just a few months after new purchase. Top service technicians were flown in from Sweden to evaluate and replace the transmission at no expense to me. Small but reliable. No bells and whistles but still feel safe driving it. Smaller car but very reliable. Rarely have problems. I have low mileage. Comfortable for me. Rarely have more than one passenger. Parking is easy. Doesn't have all the bells and whistles of newer cars, however. Trunk is roomy for this size car. The back seats can go down for extra storage space. That Volvo cars are very reliable and dependable. I like my vehicle because it has run very efficiently for years with only regular maintenance. My car is still very reliable. I like the style and the sporty look and color of my car. I have no dislikes or complaints. CERTAIN PASSENGER CARS FAIL TO COMPLY WITH THE REQUIREMENTS OF FEDERAL MOTOR VEHICLE SAFETY STANDARD NO. 225, "CHILD RESTRAINT ANCHORAGE SYSTEMS." THE SECOND ISOFIX GUIDE WAS NOT INSTALLED IN THESE VEHICLES AND, IN CERTAIN CASES, THE OWNER'S MANUAL ISOFIX INFORMATION IS INCORRECT. ON CERTAIN SEDANS AND STATION WAGONS, THERE MAY BE A FUEL LEAK FROM THE FUEL RAIL DUE TO INADEQUATE WELDING. DEALERS WILL INSTALL A V-CLAMP TO THE FUEL RAIL. OWNER NOTIFICATION BEGAN ON JANUARY 28, 2004. OWNERS SHOULD CONTACT VOLVO AT 1-800-458-1552. ON CERTAIN PASSENGER VEHICLES, THE NON-RETURN VALVE MAY CRACK DUE TO A POOR WELD CAUSING A VACUUM LEAK. IF THIS OCCURS, MORE BRAKE PEDAL FORCE MAY BE REQUIRED TO STOP THE VEHICLE AND/OR MAY EXPERIENCE A ROUGH ENGINE IDLE, WHICH COULD RESULT IN A CRASH. DEALERS WILL INSPECT, AND IF NECESSARY, REPLACE THE VACUUM HOSE. THE RECALL BEGAN ON NOVEMBER 29, 2004. OWNERS SHOULD CONTACT VOLVO CARS AT 1-800-458-1552.